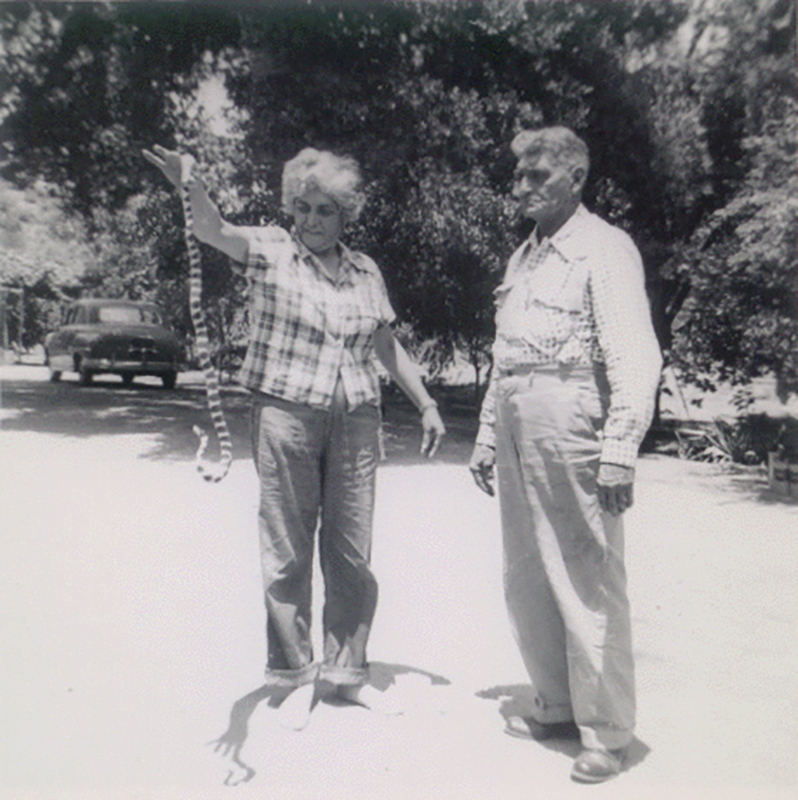 SCVHistory.com RJ1010 | San Francisquito Canyon | Joseph and Della Raggio with King Snake at Raggio Ranch, ~1940s. Joseph Reyes Raggio (right) and his daughter Della Juanita Raggio inspect a king snake at the Raggio Ranch in San Francisquito Canyon, probably in the 1940s. Rene Jensen-Raggio writes (year 2000), "The ranch had a lot of snakes. King snakes were always welcome because they killed the rattlers, keeping the property a little safer." Charles Raggio acquired this ranch in about 1880. It sat along the main north-south wagon route between Los Angeles and the San Joaquin Valley. On the ranch property was the stagecoach station that had been in use since 1854 (first known as Moore's, later as Hollandsville). 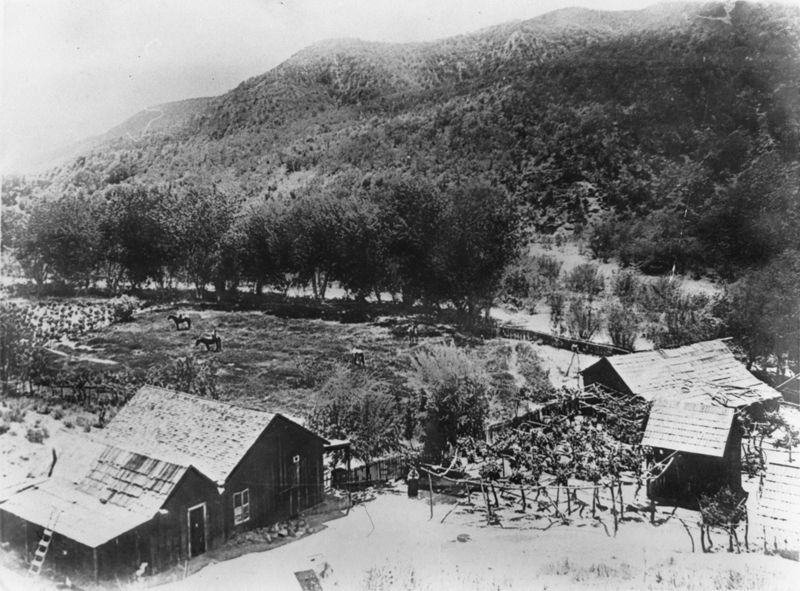 Situated downriver from the spot where the St. Francis Dam would be built in 1924-26, the old stage stop and other Raggio Ranch buildings were wiped out when the dam broke March 12, 1928. RJ1010: 9600 dpi jpeg from smaller jpeg. Online only.